She was one of the best Danish sopranos of her time. Since 1915 she was a pupil of Paul Bank in Copenhagen, since 1919 she studied singing at the Royal Opera School in Copenhagen. From 1924 to 1949 she was a highly respected member of the Royal Opera in Copenhagen. Here she made her debut as Queen of the Night in ‘’Zauberflöte’’. 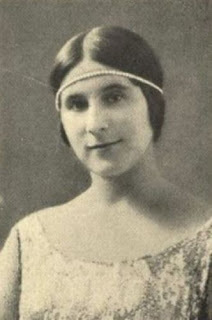 Her repertoire included Olympia in ‘’Les contes d'Hoffmann’’, Zerline in ‘’Don Giovanni’’, Gilda in ‘’Rigoletto’’, Marie in ‘’La fille du régiment’’, Susanna in ‘’Figaros Hochzeit’’ and Ännchen in ‘’Freischütz’’. She made guest appearances in Berlin, Paris and Riga. From 1924 to 1928 she made a lot of recordings for Danish HMV.